Casting has been announced for Of Kith and Kin at Sheffield Theatres and the Bush Theatre as part of our Autumn Winter season. Cast includes: Joanna Bacon (Lydia and Carrie), Donna Berlin (Arabelle), James Lance (Daniel), Chetna Pandya (Priya) and Joshua Silver (Oliver). Find out more and get tickets for Of Kith and Kin here. 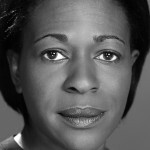 Joanna Bacon plays Lydia and Carrie. She returns to Sheffield Theatres having previously appeared in Iphigenia. Her other theatre work includes Scarlett (Hampstead Theatre), Each Slow Dusk, In This Place (Pentabus Theatre), Gaslight (New Vic Theatre), Spring Storm, Beyond The Horizon (Royal & Derngate, Northampton and National Theatre), Calais (UK tour). Her television work includes Prime Suspect 1973, Cradle to Grave, Him & Her, The Shadow Line, Wallander; and for film, A Quiet Passion, Rock’n’Rolla, Venus and Love Actually. Donna Berlin plays Arabelle. 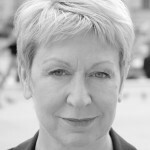 Her theatre work includes Anna Karenina (Royal Exchange/West Yorkshire Playhouse), The Rolling Stone (Royal Exchange, West Yorkshire Playhouse and Orange Tree Theatre), Blood Wedding, The Bacchae (Royal & Derngate), Elmina’s Kitchen (UK tour, Garrick Theatre) and Puffins (Nabokov/Southwark Playhouse). For television, her work includes Requiem, Game Face, New Tricks, Extras, Lead Balloon and Beautiful People; and for film, In Darkness, Monochrome and Dinner with My Sisters. 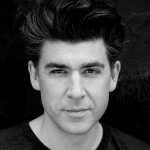 James Lance plays Daniel. His theatre work includes The Dead Monkey (Park Theatre), Jeeves and Wooster in Perfect Nonsense (Duke of York’s Theatre and UK tour), Ingredient X (Royal Court Theatre), Pythonesque (Underbelly, Edinburgh), Ordinary Dreams (Trafalgar Studios) and Henry IV (Donmar Warehouse). His television work includes Hoff the Record, I Want My Wife Back, Houdini and Doyle, Siblings, Black Mirror, Hotel Babylon, Sensitive Skin, Absolute Power, Teachers, The Book Group, Spaced and I’m Alan Partridge; and for film, The Bookshop, Northern Soul, Swansong, The Look of Love, Estranged, The Roundabout, Bel Ami, Bronson and Marie Antoinette. 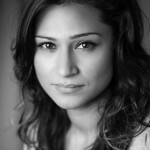 Chetna Pandya plays Priya. Her recent theatre work includes Guess Who’s Coming To Tea (Hampstead Theatre, Theatre Royal Stratford East), Mother India (Theatre Royal Haymarket), Pereira’s Bakery at 76 Chapel Road, Mahua, The Westbridge (Royal Court), Much Ado About Nothing (RSC) and A Disappearing Number (Complicite). Her recent television work includes Motherland, Aliens, The Wrong Mans, Count Arthur Strong, Line of Duty and Toast of London. 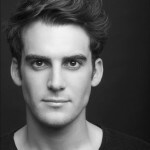 Joshua Silver plays Oliver. For theatre, his work includes Photograph 51 (Michael Grandage Company at the Noel Coward Theatre), Wolf Hall/Bring Up the Bodies (Aldwych Theatre/Winter Garden Theater, Broadway), A Tale of Two Cities (Royal and Derngate), A Midsummer Night’s Dream, Blue Stockings (Shakespeare’s Globe), Trelawny of the ‘Wells’ (Donmar Warehouse) and The Hotel Plays (Grange Hotel). For television his work includes The Moonstone. Of Kith and Kin by Chris Thompson plays in the Theatre at the Bush 18 Oct – 25 Nov 2017. Find out more and get tickets for Of Kith and Kin here.